Kipilat spent the first 12 years of his life with only one leg. His parents died when he was young and since then he has been passed from neighbor to neighbor. Because he lives in a remote area of northern Kenya, schools are few and far between. Therefore, Kipilat was unable to even attend preschool until he was 11 years old. Even then, he was ignored by most and had few friends. But that all changed in September 2013 when a missionary heard his story and encouraged a local church to help him. Kipilat was taken to AIC CURE International Children’s Hospital in Kijabe, Kenya where he received the LIMBS knee system and his first leg. When he was first learning to walk, Kipilat was so excited that he didn't want the leg to leave his sight. 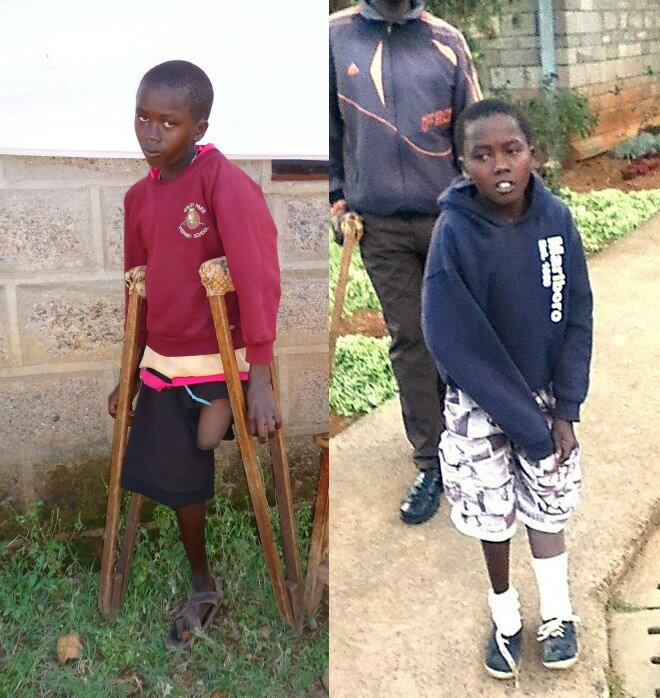 As he continues improving, he will no longer even need to use crutches to move around; allowing him for the first time to walk freely, get an education, and be an active part of society.